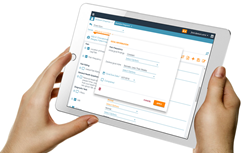 Clinicient’s InsightGO clinical documentation tools deliver greater efficiency and ease-of-use to PTs, OTs and SLPs. InsightGO elevates our single system for EMR and billing, building upon the already robust functionality that helps users work more simply and efficiently. Founded in 2004, Clinicient helps outpatient rehabilitation therapy businesses optimize their clinical and financial operations from patient to payment, through a combination of cloud-based EMR, practice management, revenue cycle management (RCM) and patient engagement solutions. Clinicient is headquartered in Portland, Oregon. For more information call (877) 312-6494 or visit http://www.clinicient.com or follow Clinicient on Twitter @Clinicient.